Zebra prints have always seemed to be in vogue – they just never go out of style for the fashion forward. 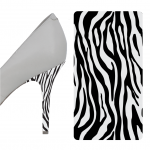 While the animal it’s inspired from is generally known to be a meek species, a little twist of black and white zebra stripes in your wardrobe is anything but timid. 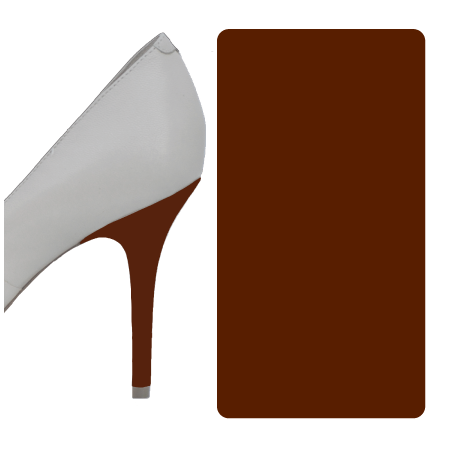 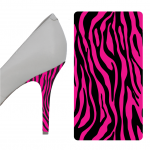 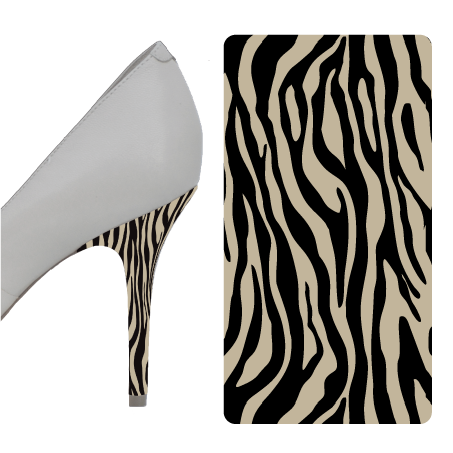 With our zebra print heel wraps, you can add a daring dash of zebra to your wardrobe. 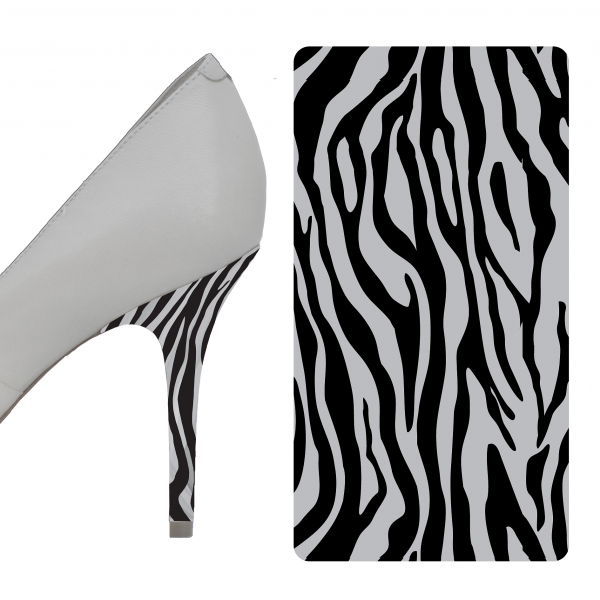 Whether it’s those pesky scuff marks or you just want to liven up an old pair of black heels, the zebra print is bound to catch the eye and make any ensemble pop.